Every year we try to participate in international charity events. 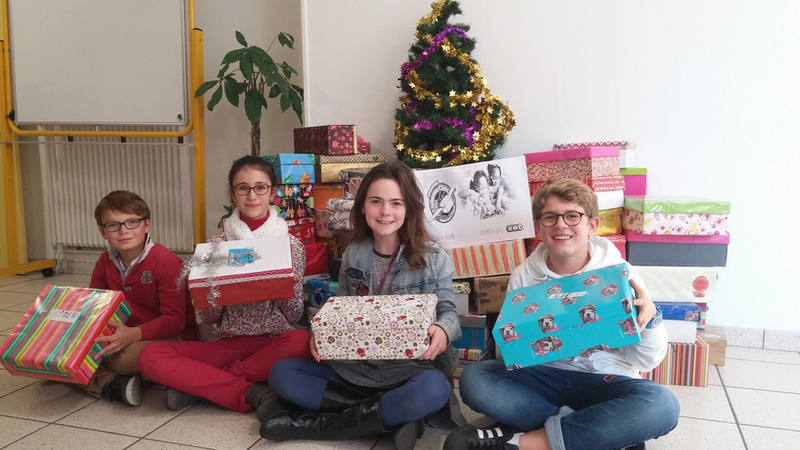 For example in 2016-2017 we launched a competition to fill decorated Christmas shoe boxes! These boxes are part of the annual Christmas Shoe Box Appeal organized by the international charity Samaritan’s Purse, an appeal which has been running for over 30 years and specializes in meeting critical needs for victims of war, disaster, and famine in the world’s most troubled regions. We sent of well over 100 shoe boxes. In March of this year students from throughout St Anne’s took part in a Clothes Mountain Challenge. 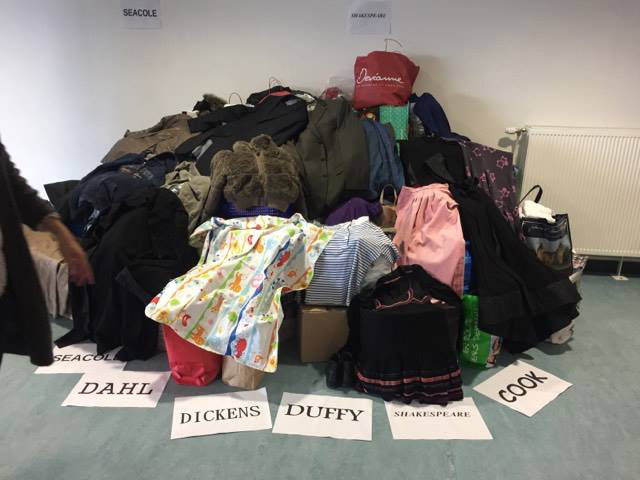 From 7:30am – 12noon we created “mountains” of second hand clothes. Organised by the local charity Operation Caritative, the aim was to create the largest mountain possible. The clothes were sent to be recycled and the money raised went to buy much need medicine for orphans in Vietnam and Madagascar.